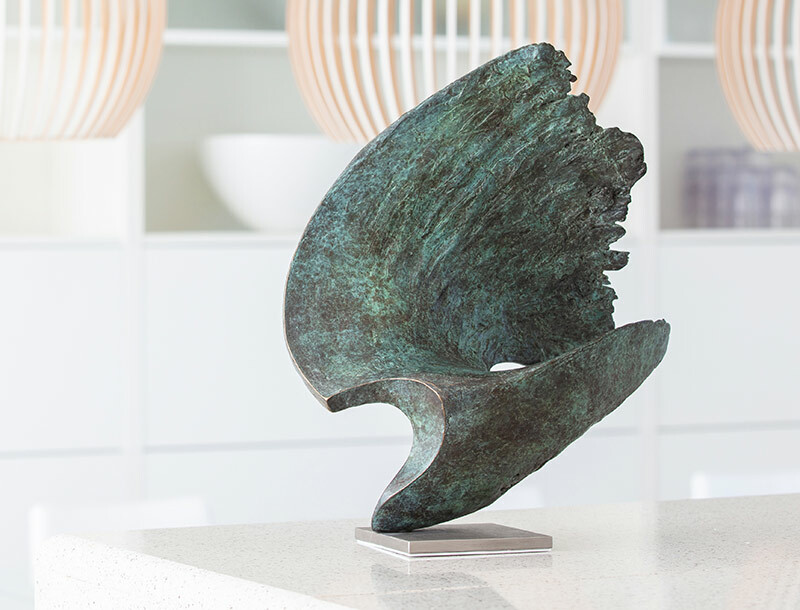 Wave is an imposing piece, that draws the eye wherever it may be positioned in a room. The movement of the wave seems to be held in stillness in the bronze, as if, once unleashed it would crash back to the ocean. 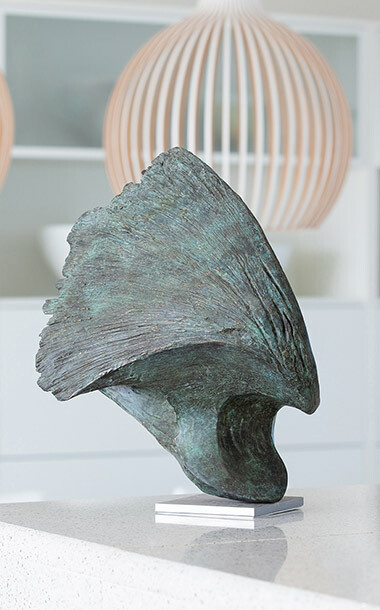 A limited edition in bronze, Wave is a scale-able work, and can be commissioned up to two metres high. Small bronzes range from c£3,000 to £18,000. Please contact us for a tailored quote. Normally Ben will cast to order. Delivery estimated at 10 weeks from receipt of deposit, but please ask. 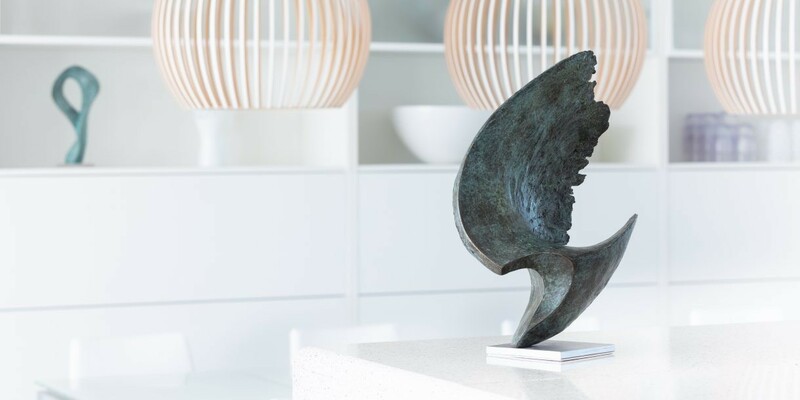 We keep a small number of bronze sculptures in the studio, so we may have the piece you love ready.